Walking up the highest mountain in the UK outside of Scotland in the snow has become increasingly difficult over the last 6 years but somehow we’ve always managed it. I usually wait for the weather but because this has become more and more difficult each year, this year I’ve decided to set a date and hope for the best. If there is no snow when we go we’ll still have a great day out. The winter snow line on Snowdon used to exist from October through till May and though it has been predicted that the snow line will disappear by 2012ish there really hasn’t been one for several years. 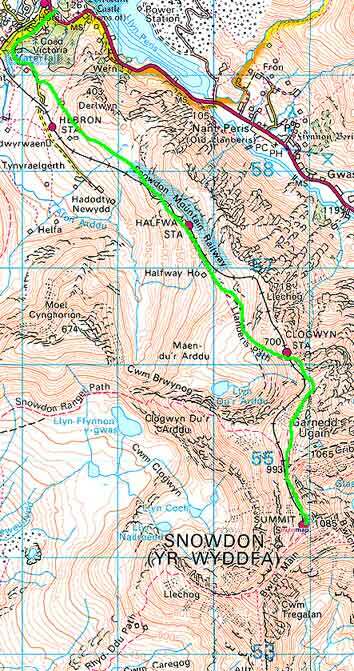 Starting in Llanberis the route will ascend and descend the mountain using the Llanberis Path. 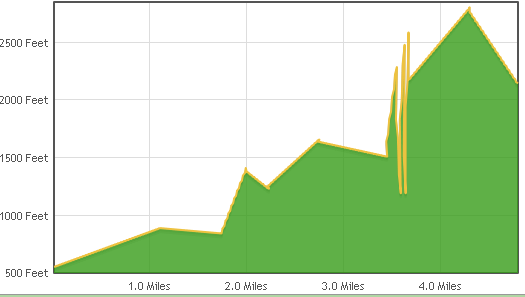 Approximately 5 miles each way with a height gain of about 2800 feet the route should take about 5 hours. The plan is to meet in Llanberis, in the car park of Electric Mountain – Dinorwig Power Station at 10am. After the walk we’ll meet in Pete’s Eats for the traditional hearty feast and tales of derrin doo. The start of the route is very steep and quite uninspiring. The wonderfully hospitable Stephan at Penceunant Isaf – a small tea room and bunk house at the top of the steep section usually allows me to park a couple of cars on his car park. The route is fairly straight forward and should be achievable by anyone with reasonable fitness. There are no climbing or ‘hands on’ sections but care needs to be taken in two places. The path takes a sharp turn south after passing under the bridge after Clogwyn Station.Care should be taken not to navigate over the cliff in bad visibility. The path traverses the mountain about 200 metres above the cliffs of Clogwyn Coch. Because of the camber on the path at this section, when icy it is possible, when icy, to slip down the slope and over the cliffs. These risks are small but must be considered. We stick together as a group and make sure the mix experienced navigators, people familiar with the route and first aiders is balanced with people with no or little experience. Will be great to have you along. See you then.